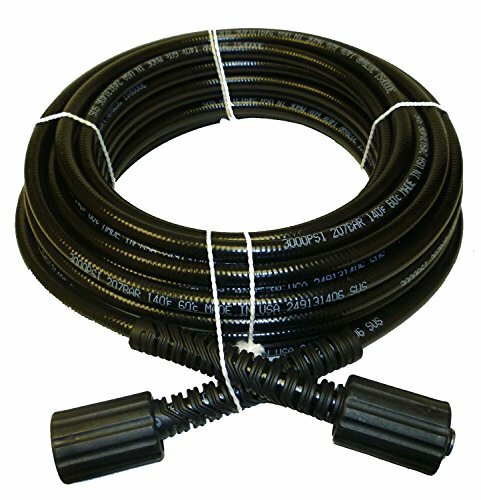 This textile braided hose is designed for use on gas or electric pressure washers with operating pressures of 3,000 PSI or less. Fits many DeVilbiss, Excell, Generac/Briggs, Karcher & Ryobi Light duty units with dual 22mm-14 female twist connects. Karcher replacement 50' hose # 9.162-315.0, 91623150, 9.162-319.0,91623190. If you have any questions about this product by PROPULSE, contact us by completing and submitting the form below. If you are looking for a specif part number, please include it with your message.